I was thinking about the images of the 1980s-present of black lawyers I saw on television. 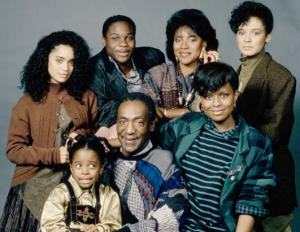 Of course we remember Clair Huxtable, the very witty-social host-mother-wife-attorney whom could be seen polishing the family silverware in the kitchen. I think for me that was the first time I saw an image of a black woman as a successful lawyer married to a doctor who both had deep respect for their cultural roots and family values. Of course I remember Maxine Shaw from ‘Living Single’, Freddie when she was accepted to the prestigious yet fictious HBCU Hillman Law School, the prosecutor-District Attorney Carter (Courtney Vance) from Law & Order, Joan and William, the corporate associates on ‘Girlfriends’. Unfortunately, these shows didn’t show the reality of many Black American attorneys who didn’t attend elite schools, weren’t a part of the black upper class (yes they do exist in America, read: Our Kind of People by Lawrence Otis Graham), nor part of the black or white connected clubs which I see is somewhat intertwined with the previous ideal. As a matter of fact, the spin-off of ‘Girlfriends’ was based on Joan’s younger sister struggling through medical school while seeing a famous rookie football player, as well as in ‘A Different World’ the character Kim’s father is a policeman and she struggles working two jobs through undergrad and struggles through medical school. Why is law school so glamorized while television continues to show medical residents and doctors struggle to balance their lives with their hoped for career. Maybe because so many attorneys in reality are that stereotype: conniving, deceptive, trained to have a tough exterior where weakness is frowned upon. I guess in a way there aren’t enough strong attorneys with the courage to expose the inherent pitfalls in attending law school, because that would be weak, that would be an “admission” that you didn’t make it, well that’s just not being a lawyer! With these pictorial depictions flashed in front of millions, who would be a poor or middle class prospective law student’s mentor to steer them to the right school or even guide them as to whether law is an appropriate field? How do these potential mentors access them? One way is through these blogs. This is why we maintain these blogs. We need something to counter-balance the glossy DVDs and other recruiting materials put out by the business entities masquerading as law schools. The media is also comlicit in this distortion of reality. The media constantly puts out images of successful tough attorneys. Even when addressing the shrinking lawyer market, the media is only concerned with the “plight” of those at elite law schools. (Or they blame the market on the current state of the economy.) If some kid at HLS takes a job making $60K, the media is more likely to report on that than they are to highlight and document the legions of non-elite law grads who are unemployed and under-employed. It’s that I know now with all the technology there’s more access to information and warnings. Those of us before this phenomenon was widespread were emerging from a void though economically it wasn’t the digital divide, just digital was getting it’s start!